In this episode, I discuss the secret sauce to buying more real estate. We live in a disconnected world ran by technology. People have lost touch with how to engage with humanity. Listen to these simple to implement strategies and practice being human again and you will discover the “secret sauce” to buying more real estate through simple interaction that you ever will being pushy, salesy, entitled or egotistical. 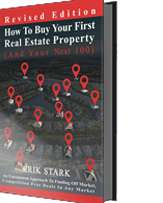 Seller Questions and Seller Facts – Download this question and practice these until they become natural. You will discover unique ways to slip in these questions during your conversations that reveal many unseen and unheard opportunities for you, to provide you with understanding of your sellers. Enter your Email to Download the ‘6 Must Know Facts You Need Before Meeting With A Seller’. 30.11: Why do we do this? 59.08: What are the values in this immediate area? 1.01.01: Are they willing to sign an agreement today?